The White-breasted Nuthatch is a small songbird that belongs to the nuthatch family which is found in temperate North America. This bird was first scientifically described by John Latham in 1780, in his work, Index Orinthologicus. 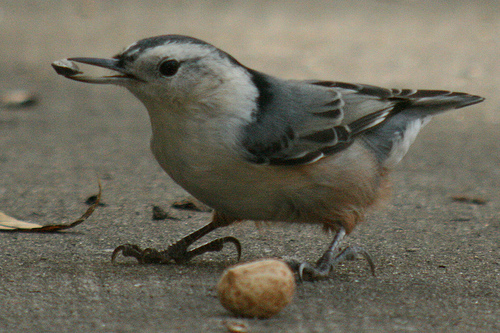 The White-breasted Nuthatch has a large head, short wings and a short tail, a powerful bill, and strong feet. It is 13 to 14 cm long and has a wingspan of 20 to 27 cm. It also has a weight of 18 to 30 grams. Adult males of the nominate species, S. c. carolinensis, have pale blue-grey upperparts, a glossy crown, and a black band on its uppre back. Its flight feathers and wing coverts are dark grey with paler fringes. Its underparts and face are white. 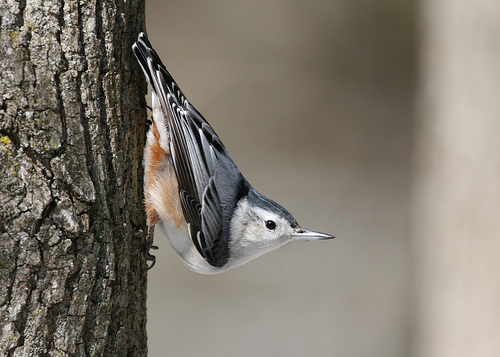 When foraging, the White-breasted Nuthatch will progress in jerky hops up the tree. They descend the trunks head fist and can also hang upside-down beneath branches and twigs. It is an omnivorous bird which eats seeds and insects. They also eat acorns and hickory nuts which they break with their powerful beaks. 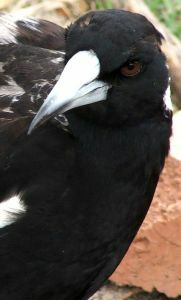 This bird is a common species with a large range. It is estimated that its range is 8.6 million square kilometres. As a result, this species is evaluated as being of Least Concern on the IUCN Red List. This bird is protected in the USA, Canada, and Mexico by the Migratory Bird Treaty Act of 1918.